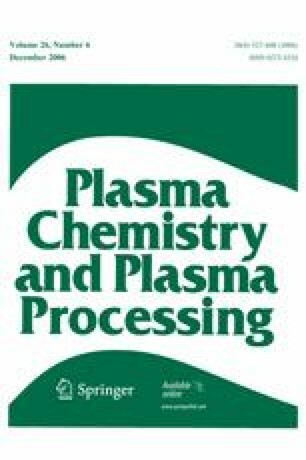 The dynamics of the electric arc inside a direct current non-transferred arc plasma torch are simulated using a three-dimensional, transient, equilibrium model. The fluid and electromagnetic equations are solved numerically in a fully coupled approach by a multiscale finite element method. Simulations of a torch operating with argon and argon–hydrogen under different operating conditions are presented. The model is able to predict the operation of the torch in steady and takeover modes without any further assumption on the reattachment process except for the use of an artificially high electrical conductivity near the electrodes, needed because of the equilibrium assumption. The results obtained indicate that the reattachment process in these operating modes may be driven by the movement of the arc rather than by a breakdown-like process. It is also found that, for a torch operating in these modes and using straight gas injection, the arc will tend to re-attach to the opposite side of its original attachment. This phenomenon seems to be produced by a net angular momentum on the arc due to the imbalance between magnetic and fluid drag forces.